Some of you think I swear too much on this blog. You’re all like: I mean, people read this, you know. Decent people. What if your grandmother saw what you write? Well rest assured, she does. She reads my blog regularly. And I get the swearing from her. I’m writing this post because it’s been a while since I’ve written anything, and I feel almost obligated to let you know how this whole employment situation is working out. But it’s important to me for you to know that I’m writing this under the influence of half a glass of wine (it doesn’t take much these days) and the cotton ball state of mind that stems from sheer emotional and physical exhaustion. So try not to judge. You think it’s tiring drinking at the bar until last call? Try staying at the bar for an hour after that to to wipe, sweep, mop, scrub, and basically clean up the mess you made while you were there, and oh yeah you’re doing this completely sober while getting paid $2.13 an hour if you’re lucky. We won’t even speak of those dimwitted enough to agree to do this under the table for tips only. Although, that might be nice come 2012 tax season because I can already tell you that this job will be but a short blip on the radar. And I hate to admit it, but this really isn’t unusual for me. One year I filed taxes for 7 jobs in 3 different states. So really, I’m right on par with my record, discounting the past 3 years I spent in a cubicle-induced coma while attempting to be a grown-up. But unfortunately, I’m also figuring out that I’m not a kid anymore. While the job is certainly fun, I’d forgotten what it was like to have sore feet, an aching back, and slamming your thumb in a cooler door. I forgot what it was like to give someone everything you have and they leave you a thirty-four cent tip like they’re doing you a favor. Keep the change, honey. Wink. And since I often am the drunk people, I feel like I can say that. They slur and slobber and act like you’re their best friend just because you keep bringing them more of what’s making them disgusting, and you might be okay with pretending that’s true for a bit, just to see if they tip you like you’re their best friend. Many times they don’t, but here’s the kicker – They think they did. I’m not knocking drinking. That would pretty much make me the biggest hypocrite in the entire known universe, but I’m just sayin’ – slovenly drunkenness is best achieved in the comfort and safety of a small group of intimate friends, preferably at a personal apartment or home. So right now I’m feeling like Britney Spears in that song that goes, I’m not a girl…. not yet a woman. Except I think she probably sang that when she was like 18 which only makes me a decade late on this whole thing. And I’m pretty convinced that I am, in fact, a woman by now. A woman stuck in a girl’s job. So maybe it’s not like that song at all. But honestly? I’ve had fun. The people I work with are amazing. I’ve been out of the game for a while, but I’ve reaffirmed the fact that the restaurant/bar biz is pretty much the same anywhere you go. The surly cook, the angry waitress, the chill bartender – all the same characters, just with different faces and names. And I love them. I can honestly say that. It’s a camaraderie I’ve never experienced in any other type of job. But that, my friends, is because working in this business is a shitstorm unlike any you could imagine in any other type of job. Extreme highs, lows, punches and blows. It’ll make you happier than you’ve ever been and then send you a shot to the stomach that’ll knock the wind right out of you and then, because you kind of have to and you kind of want to, you go right back in for more. 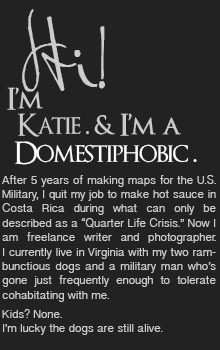 So, needless to say, I’m going to continue sprucing up the resume in case something a bit more… boring comes along. The irony of all of this is that you need the least amount of education to work in the lowest paying, most challenging job I know. Because frankly, I’d be hard-pressed to believe anything else exists that demands a more exasperating combination of physical labor, personality, perseverance, and yes, brains, than working in a bar. We have a love/hate relationship, the bar and me. And I’ve never been good at those. But we’re content to use each other until something better comes along. Uh-oh. I am a thirty-four-cent tipper… Sorry!!! After living in Spain for two years (where tips don’t exist) 20-percent sounds ridiculous. But I hope you don’t experience too many people like me… Or too many Spaniards for that matter! Hope you experience more love than hate while you’re there! Ohhh wow. I’m gonna go ahead and pretend I didn’t read this. And umm… Becca used to wait tables so you might not want to tell her, either. ;) I’m guessing that in Spain (and other non-tipping countries like Costa Rica), they get paid more than their country’s equivalent of $2.13/hour – or in my case, nothing. All I get is the tips!